'Having been asked many times if he could recommend a definitive guide to use of our glorious language and not satisfied that the right book existed, Lamb wrote it himself' - Yorkshire Post Written by the President of the Queen's English Society and covering all of the basics, this clear and practical guide will teach anyone how to write and use English correctly. What is good English, and why do we need it? 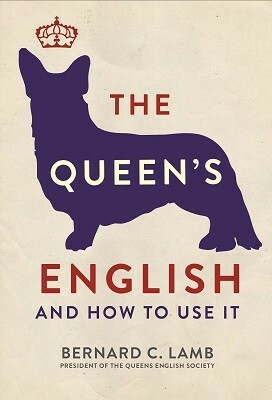 The Queen's English shows how the English language, used properly, has great power to instruct, move and entertain people, but used incorrectly, can lead to a lack of clarity and confusion. This book informs in a light-hearted way, reminding readers how to use the basics of grammar, punctuation and spelling, as well as further teaching them new tips and tricks of style, rhetoric, vocabulary and the use of foreign phrases, to give their writing and speech a stylish and impressive flair. The book also shows the perils of using language incorrectly, offering extremely (if unintentionally) humorous examples of where bad English can cause one thing to mean something entirely different! Authoritative yet entertaining, and illustrated with pithy drawings, this is the ideal book for anyone who strives for clear, stylish and accurate communication. "Having been asked many times if he could recommend a definitive guide to use of our glorious language and not satisfied that the right book existed, Lamb wrote it himself." "Yorkshire Post""
"Covers everything from grammar to writing letters and giving talks." "Country Life""